Buckingham Mystery: The Norvell House | slate river ramblings . . . . This wonderful photo was given to Carole Jensen by Stanley Baber Andrews, daughter of Lily Norvell. It captures not only the beauty of the Norvell home, but also the era and family relations. The photograph may have been taken upon the death of Thomas B. Norvell (d. 22 January 1897), which was his wife’s birthday. 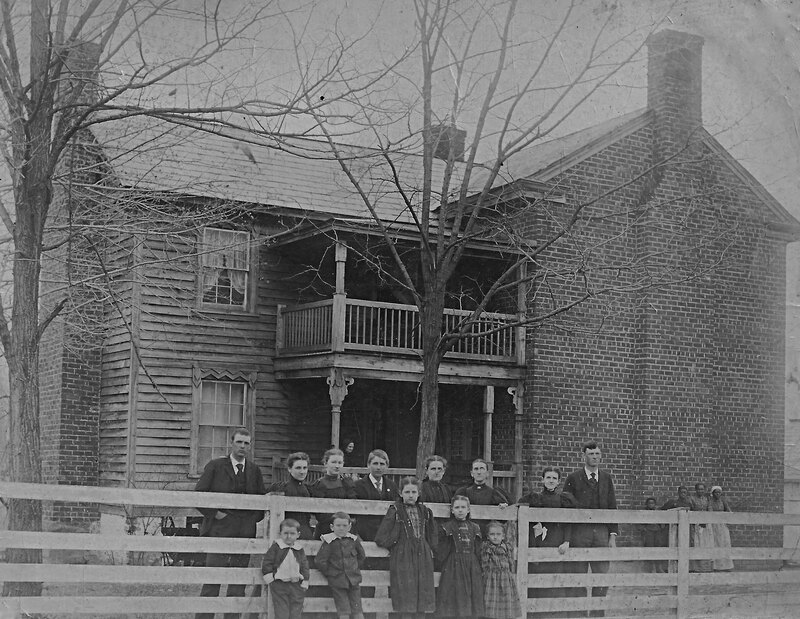 When the photograph was made, this house was the home of Thomas B. and Mary “Molly” Evelina Miller Norvell, located on today’s Spreading Oak Road, post office, Well Water or Tucker, Buckingham County, Virginia. If anyone can help identify the unknown individuals in the photo, please comment. A Buckingham mystery no longer, click here for more about the Norvell House. Elizabeth, it is completely coincidental that my Payne’s Pond post was followed by the photo of Catherine Neighbors, proving the amazing interconnections in Buckingham County! I spoke at length to my Aunt Stanley this morning before I saw this. She asked about our visit to this home two weeks ago. The owner was not at home but has kindly offered to show us the inside on our next visit. His family has owned the property for 50 years. We believe it was built around 1830. Carole, Thank you for the update and the approximate date of the house.